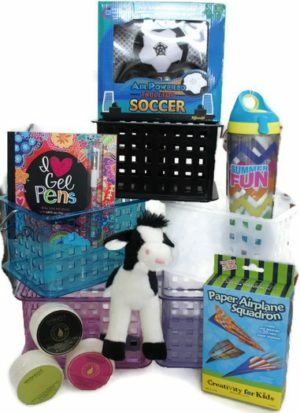 For over two decades we’ve been packing up innovative, custom camp care packages filled with high quality products while keeping your child’s preferences in mind. 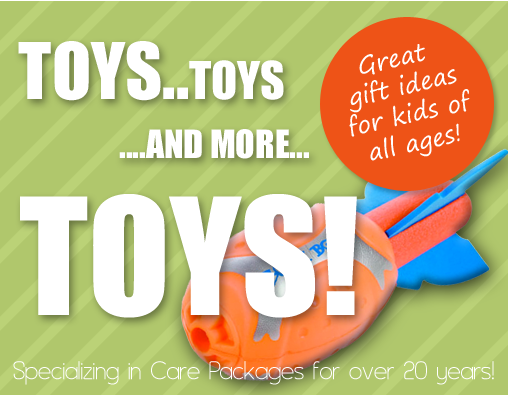 At Camp Pacs, toys and gift packages are all the rave. 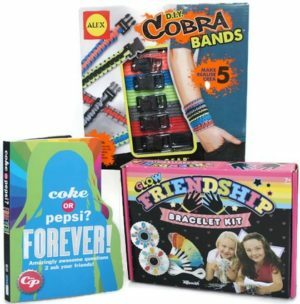 Whether your child is away at camp, attending college or boarding school, having a birthday or special occasion, we are your one stop shop for gifts and camp pacs! I’m a Mom and whenever my children, Brittany and Mary Elizabeth, are away from me, I like to think they’re receiving the same TLC they receive at home. I understand that whatever a parent sends to a child has to be of the best quality, right for his or her age, loads of fun, and most importantly, filled with love from home. Having a child away from home is so much easier when you can send your love with a Care Package for camp or any occasion. 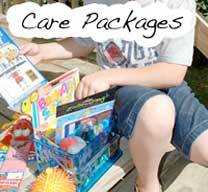 We create each and every care package with all this in mind! And if you’re ever in the beautiful Blue Ridge Mountains of Western North Carolina, visit our gift store, Main Street Ltd in Brevard! Build Your Own Camp Pac! 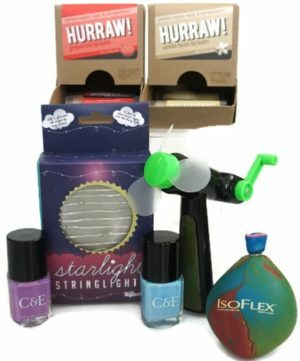 Create the perfect care package for your camper. 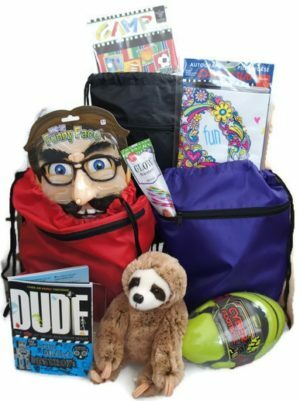 Choose from our selection of bags, caddies, and more and SHOP to fill your Pac with your camper’s favorite toys, games & gadgets. Or, make your own custom gift Pac for any occasion! 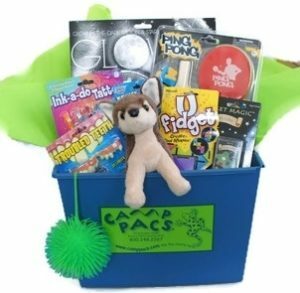 The Basic Camp Pac has 8 to 9 personally selected items suited to the age, gender and interests of your special camper! Our Cabin Mate Pac contains 2 to 3 personally selected items suited to the age and gender of your camper's Cabin or Bunk Mate. It's a great way to share the fun at camp! 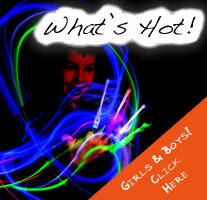 The Counselor Pac contains 1 to 2 personally selected items suited to the gender of your camper's counselor. It's a great way to say Thank You! 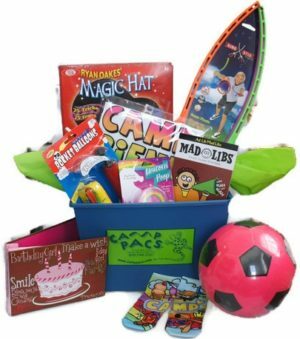 Our incredible Birthday Pac is literally stuffed with quality gifts and artfully wrapped for a birthday or easily customized for any Special Occasion! Choose a duffle, caddy or just a regular birthday pac. Build your own back sac. Just pick the color of your back sac, then fill it with items from our website. Your camper will love it! Monogramming is available for this item. When monogramming please allow two extra weeks for delivery. 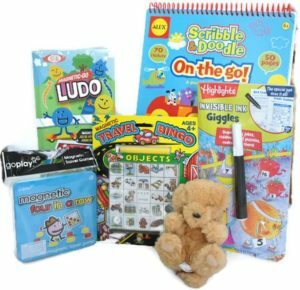 Fun, creative games & activities designed to keep younger children entertained on long trips. So load them up on our Travel Pac goodies and you may not hear Are we there yet? quite as often!